I heard about a man who fell into the lens grinder at LensCrafters. He really made a spectacle of himself. I'm reminded of a scene in Disney's Hunchback of Notre Dame where Claude Frollo advises a torturer not to lash the whip too often, lest the pain from one bleed into the next. Best to savor each one independent and unique from the others. I picture Thomas driving a minivan all day long from school to soccer practice to art classes, happily blurting these puns, with a helpless, captive audience in the back. What did the snail say as he rode on the turtle? God, that's worse than locking the windows and farting up the car. Sound like a real gas to me. Hey! Why isn't Kroger at the top of that list?! We need to hit the brakes before this spins out into another pun trip. So, if she just noticed it, she isn't using the list at all ? Just don't throw fuel on the fire. Enough guys! Lets steer this thread back on track. Are you trying to derail that train of thought? I don't think I can get on board with that kind of fast-tracking. 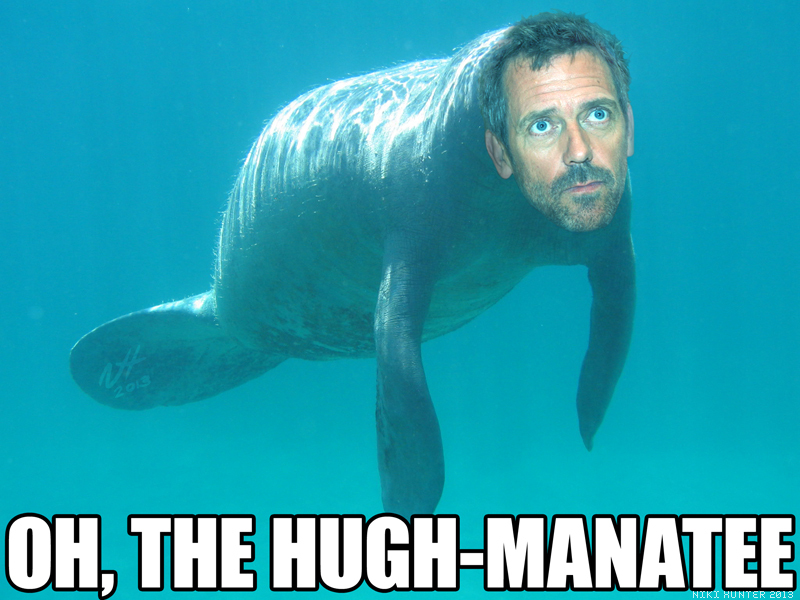 A sea cow named Hugh went to a fancy restaurant. The restaurant had a strict policy about animals, but the maitre d' couldn't resist an opportunity to serve Hugh Manatee. Why does Alanis Morissette wear wrinkled clothes? Because she doesn't understand how the irony works. Dad: what do you want for dinner? Dad: hi craving some updog, I'm dad. lol nice try nerd. The beaver was a martial arts master. He didn't even use trees, preferring instead to make a van dam. Which famous actor was turned on a lathe? How did the hairdresser keep her head cool? Whenever I see a post by doubtingthomas, I imagine that he's copying a large-type children's joke book one page at a time. With only two exceptions, every joke I've posted has been a DoubtingThomas Original. Because funny business is serious business. With jokes like that, who nose how far you can go. I was thinking Henry Ford. Pioneer in the old factory. Took me a second. Then I snorted. The Queen of England was engaged in a friendly game of poker with her children's nanny. The nanny was winning handily, but the Queen manage to trump her simply by using Her Majesty's water closet. Which just goes to show that Au Pair can't beat a royal flush.